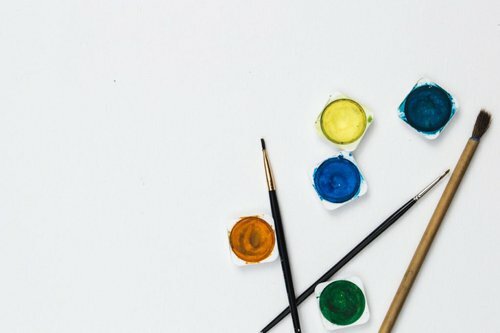 Literary works (poetry, novels, newspaper articles), musical works (songs and their lyrics, orchestral compositions, movie scores), dramatic works (films, plays) and visual arts (paintings, prints, comics, sculptures) easily come to mind when thinking of works that probably have copyright protection. However, copyright can be a lot broader! U.S. law allows you to claim copyright in software, architecture, fictional characters (for example, Superman), pantomimes and even your business’s logo. Online, the contents of a website or blog, including its text, graphics and videos, can also have copyright protection. This broad nature of copyright is no accident. The Copyright Act acknowledges that future technologies may create new kinds of content that can be protected. When the founding fathers provided for copyright in the U.S. Constitution more than 200 years ago, they surely could not fathom billion-dollar superhero movie franchises or the Internet! So, instead of providing an exhaustive list of things that can have copyright, the law simply establishes certain elements that must be met for a work to have copyright protection. The recent case of Naruto v. Slater confirmed animals are not afforded rights under U.S. copyright law. 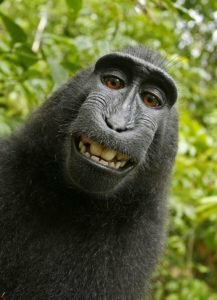 This ruling meant “Naruto”, a crested macaque monkey who took a charming and commercially-viable selfie, could not sue to own the copyright of the photograph. The work has to be captured in a way to that it can be perceived, reproduced, or communicated for more than a short time. Copyright protection in the U.S. exists automatically from the moment the original work of authorship is fixed. You do not have to register the copyright, print a copyright notice on the item, or publish the work to have copyright protection! Copyright does not protect ideas, procedures, systems or methods of operation. Copyright also does not protect facts and mechanical, clerical content (for example, a phone book). Copyright does not protect simple, short phrases. If you wrote a pop song with only one lyric – “Baby, I really love you…” – you probably wouldn’t be able to copyright this phrase and prevent other songwriters from authoring similar sentiments. Copyright also does not protect content authored by the U.S. Government. Thus, you can freely quote federal governmental reports, publications, websites and laws. Be careful though! This exception is not true for other governments, such as the U.K. If you have questions about copyright law, how to register your works with the U.S. Copyright Office, or what to do if you think someone is violating your copyrights, contact our Intellectual Property team today. 15-CV-04324-WHO (N.D. Cal. Jan. 28, 2016).